These elegant sea horses, dancing in the currents, come together quickly using corner units and half square triangles. It’s even easier using pre-cuts such as mini charm squares, 5” charms or if you prefer, a layer cake. 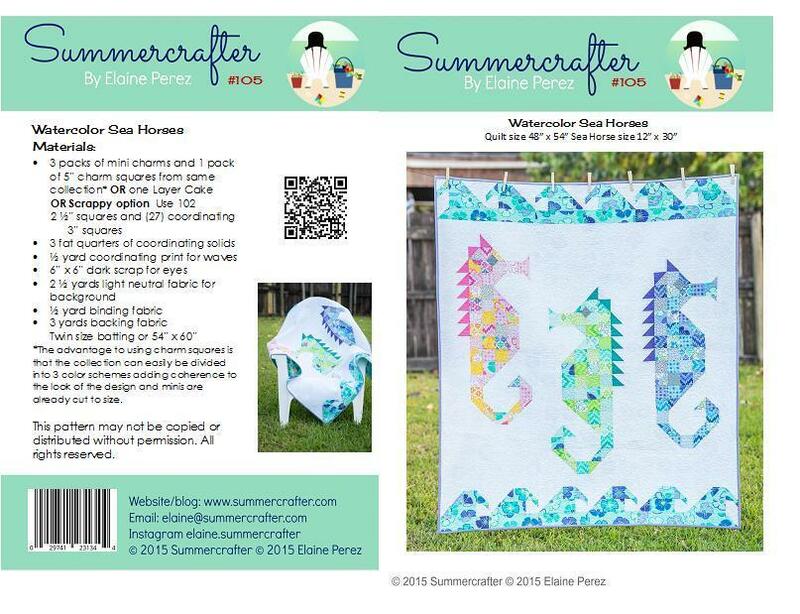 This quilt may be showcased as a wall hanging to celebrate summer or in your beach house. It’s has a fresh and modern look that is sure to turn heads.